The unsung hero in artworks tends to be those invisible forces-aka the wind-energizing an artwork’s atmosphere. Although the wind is famously personified as the huffing and puffing Zephyr in Botticelli’s Primavera, the wind often reveals itself in art through teetering trees and unruly hair. 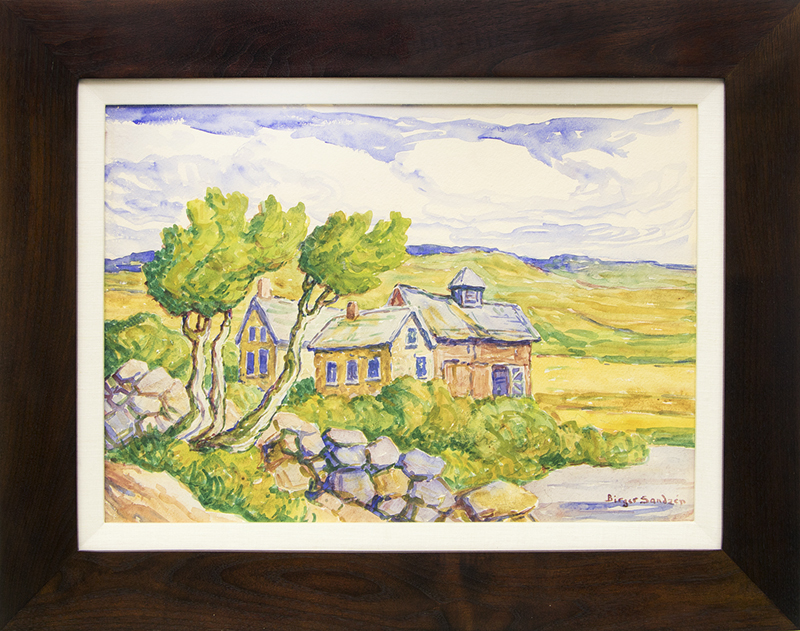 Birger Sandzen, Kansas Farm, Watercolor, David Cook Galleries. Click to inquire. The unsung hero in artworks tends to be those invisible forces-aka the wind-energizing an artwork’s atmosphere. 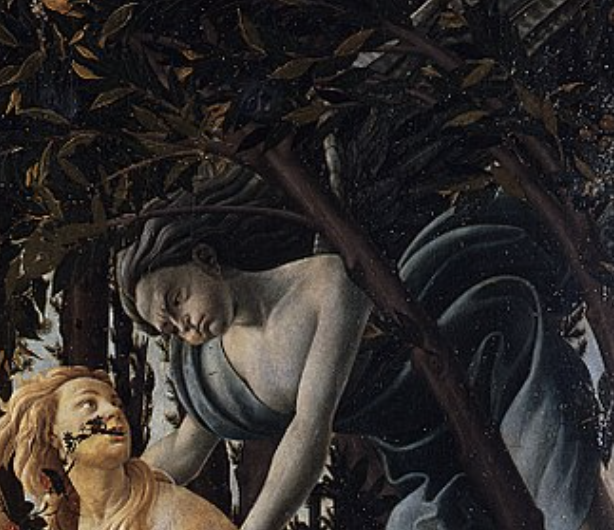 Although the wind is famously personified as the huffing and puffing Zephyr in Botticelli’s Primavera, the wind often reveals itself in art through teetering trees and unruly hair. Its invisibility hints to the artist’s technical mastery and sensitivity to its windswept subject. 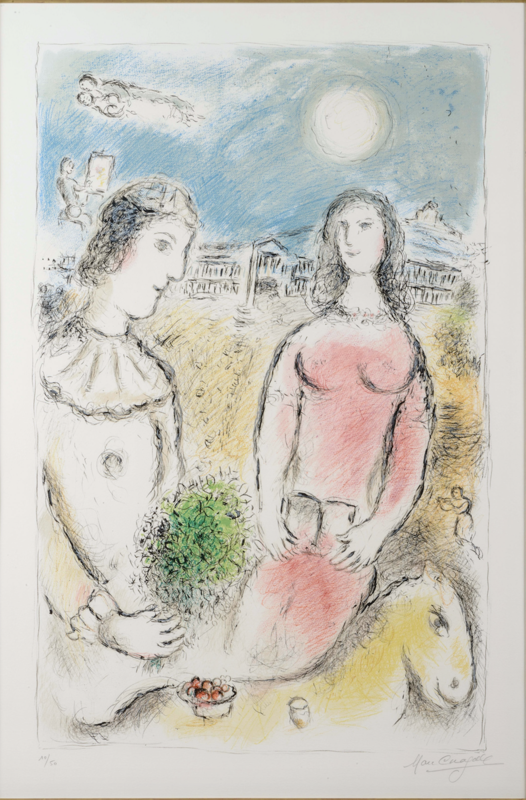 Marc Chagall, Le Couple au Crepuscule, Lithograph, Leslie Sacks Gallery. Click to inquire. The depiction-or hint- of wind spans the sublime landscapes of Hermann Herzog’s Seeking Shelter (Eckert & Ross Fine Art), to modernist Thomas Hart Benton’s electric figures as artists have continually sought out to imbue a dynamism in their works. 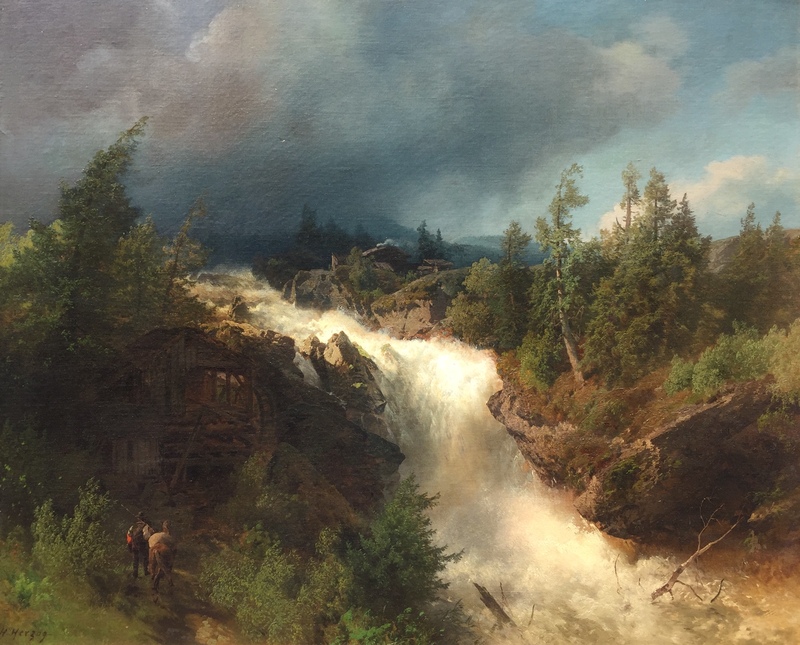 Hermann Herzog, Seeking Shelter, Oil on canvas, Eckert & Ross Fine Art. Click to inquire. The figures in Hart Benton's modernist work mirror the movement and shape of the skies above. 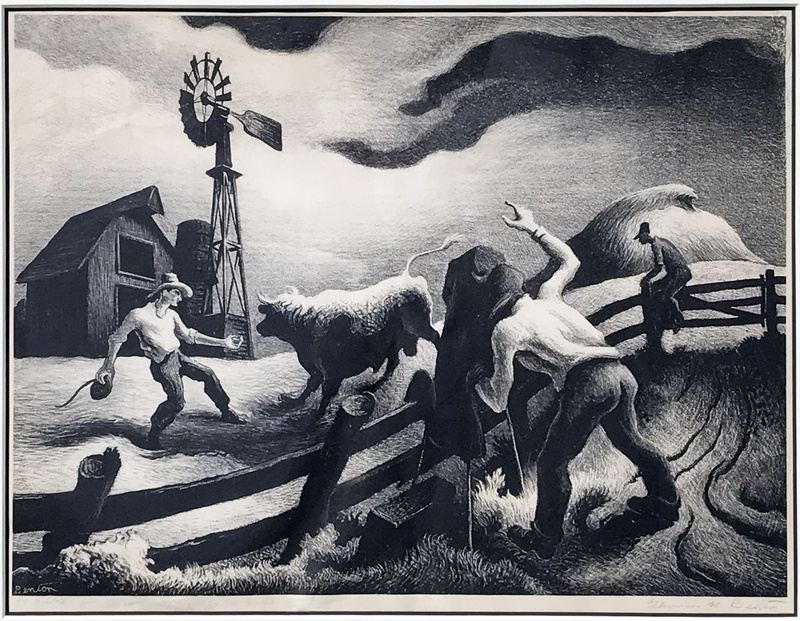 Thomas Hart Benton, Photographing the Bull, 1950 Lithograph, Eckert Fine Art. Click to inquire. Examples of this motion manifest themselves in different mediums, as reflected in the canvases, watercolors and lithographs in FADA’s inventory. The winds seemingly contribute to the essences of the artworks: mirroring the inexplicable feelings we have when experiencing them. 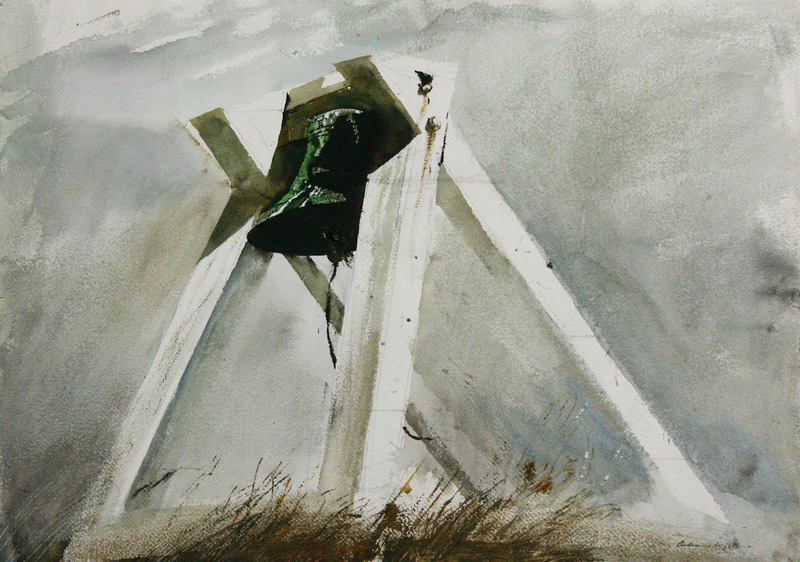 Andrew Newell Wyeth, The Outermost Bell, 1959, Watercolor, Avery Galleries. Click to inquire. Subjects in mid-action-wheter rendered in watercolor or oil. 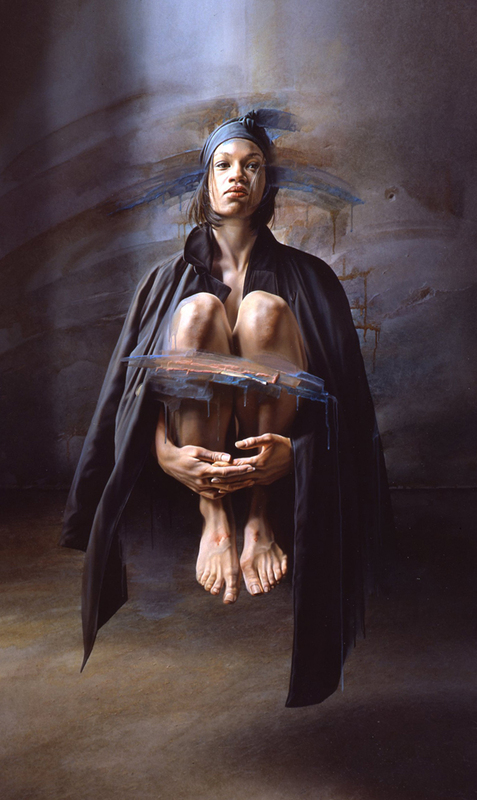 Istvan Sandorfi, Rebecca, 1996, Oil on canvas, Jane Kahan Gallery. Click to inquire.